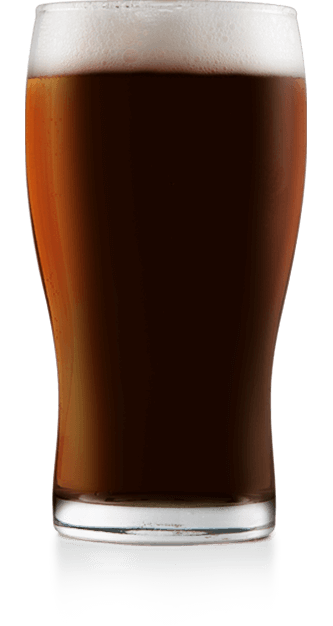 Dark, full-bodied, roasty, malty ale with a complementary oatmeal flavor. Add 3 gallons of water to the brewing pot. Pour the crushed grains into the grain bag and tie the bag loosely. Place the bag into the 150º-155ºF water and using a spoon incorporate the water into the grain bag so that all the grains are fully saturated. Put the lid on the pot and allow the grains to steep 30 minutes without direct heat. After 30 minutes remove and discard the grain bag. Slowly pour the malt extract(s) into the pot while stirring constantly to keep the extract from just falling to the bottom and burning on the bottom of the pot. Turn the heat back on, set to high and bring the contents (now called wort) to a vigorous boil. Boil for 60 minutes. Monitor closely for possible boil overs. The lid must remain off during the entire 60 minute boil to prevent potential off flavors (DMS). During the 60 minute boil hops are to be added at the following times. Note that times indicate minutes left till the end of the boil. Add the chilled wort to a sanitized fermentor and add additional water if necessary to bring the total volume up to 5 gallons. At this point take a sample of the wort for the original specific gravity reading and record it in the space provided. Refer to your hydrometer instructions for taking this reading being sure to correct for temperature. The proper temperature in which to pitch the yeast and to ferment the wort will vary based on the yeast strain and the beer style. The ideal fermentation temperature for this yeast strain is 60º-68ºF. If necessary, place the fermentor into a cold or warm water bath to adjust the temperature. When the temperature is correct, aerate the wort then pitch/add the yeast: SAFALE S-04. If the yeast provided is dry, simply sprinkle the yeast on the top of the wort and let it settle without stirring. Install an airlock or blow off tube on the primary fermentor, and move it to a dark spot where it can maintain the appropriate temperature for the yeast strain. OPTIONAL: After one week of fermentation rack (siphon) the beer into a sanitized secondary fermentor for an additional week to clear. At the end of the second week, take and record the specific gravity reading in the space provided. A steady specific gravity reading of different samples over two or more days indicates that fermentation is complete. When fermentation and clearing is complete, you can proceed with bottling. In a sanitized bottling bucket, add ¾ cup of corn sugar that has been boiled with 2 cups of water for 15 minutes and cooled. Gently rack the finished beer into the bottling bucket with the priming sugar solution. Gently stir without introducing oxygen (no splashing or sloshing) to incorporate sugar. Use a bottle filler to fill the bottles to the top of the bottle, when you remove the bottle filler it will be at the perfect level. Cap the bottles and allow them to condition at about 70ºF for 2 weeks. Replace the Liquid Malt Extract (LME) with 9.5 lbs. of Maris Otter Pale Malt. Add the specialty grains and mash at 152° F.